Based on the same platform as last years "Outland" Tri-Bars, this RSP version has the same adjustability, padding and fittings and will perform to the exact same level. 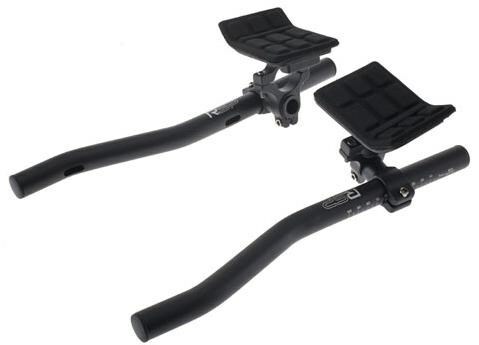 Receiving top marks from the cycling press and being very popular in the market, the RSP Tri-Bar looks set to continue bringing riders top quality Tri-Bars that perform the same, if not better, than competitors twice the price! Shims to fit both 25.4mm bars and oversized 31.8mm. Perfect entry level tribars as bolt on under normal bars enabling to get lower hand and elbow position! just what you need from tribars also come with pads as some more expensive ones don't!